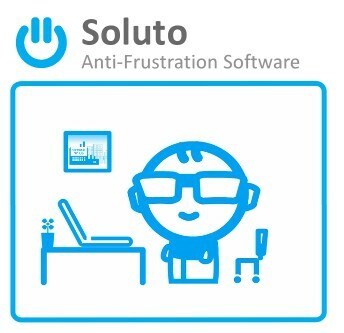 A new report for PC reliability is now available from Soluto. This ratings system considers factors such as system crashes, non-responsiveness and boot up times to determine the most reliable PCs. Topping Soluto's first list of reliable Windows PCs is Apple (!) closely followed by Acer and Dell. Apple and Acer finished in a virtual dead heat, but Apple's MacBook Pro 13 starting retail of $1199 is 280% more than Acer's Aspire E1-571 starting retail of $429. Apple's finish in the top spot (1.05 only slightly above Acer's score of 1.12) is due in part to every root Windows installation on a MacBook being a "clean" installation by definition. There's no manufacturer-added bloatware/adware since only end users install Windows on a MacBook. Dell's good showing at #3 with a score of 1.28 is due in large part to simply having a very quick boot-up time*. The XPS13 exhibited twice the number of crashes and more than three times the number of hangs compared to the Acer E1-571 (which also beat the MacBook Pro 13 in those same metrics). * Refer to Soluto's method of score calculationon this page for more details. As great as Apple's hardware tends to be, Acer's results indicate that you don't have to pay a lot for reliablility even on products as complex as laptops. Acer may have taken the top spot if, like the MacBooks, 100% of the Acers tested were "clean" (user-installed) Windows machines rather than a mix of manufacturer-installed + user-installed machines. Dell's rated reliablity (5 of the top 10 spots) is notably leading that of its two biggest competitors, HP and Lenovo -- both of which have heavy penetration of business and home systems. Soluto heavily weighs boot times when calculating scores. An interesting point (and potential conflict-of-interest): the company sells a product aimed at reducing boot times. 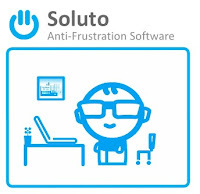 I like Soluto's new rating system but I would like to see it offered with an additional rating combining true hardware failures for an overall system reliability rating rather than be limited to the software reliability rating that it currently is.